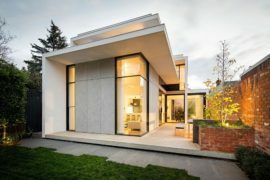 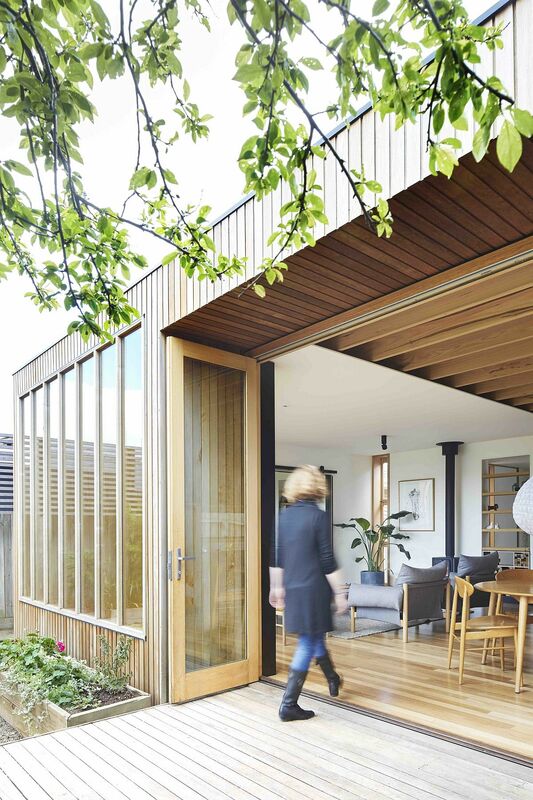 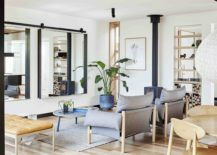 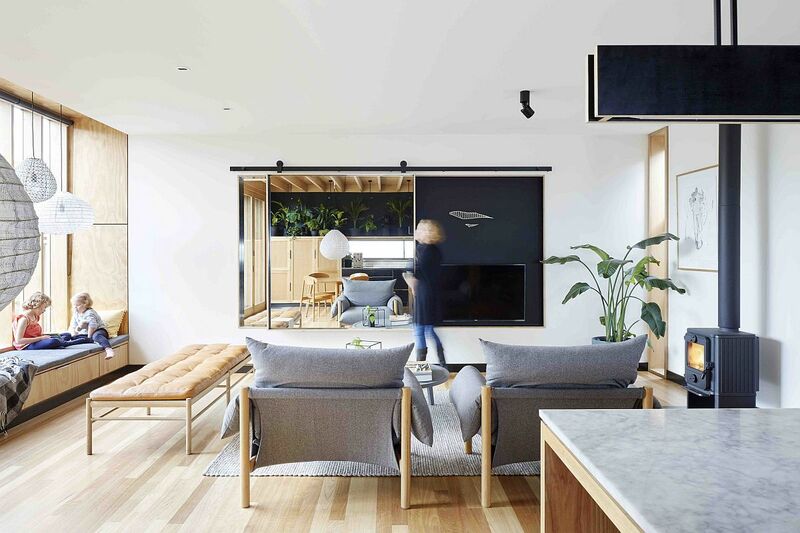 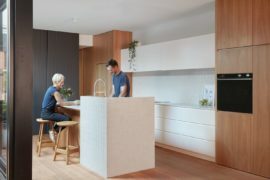 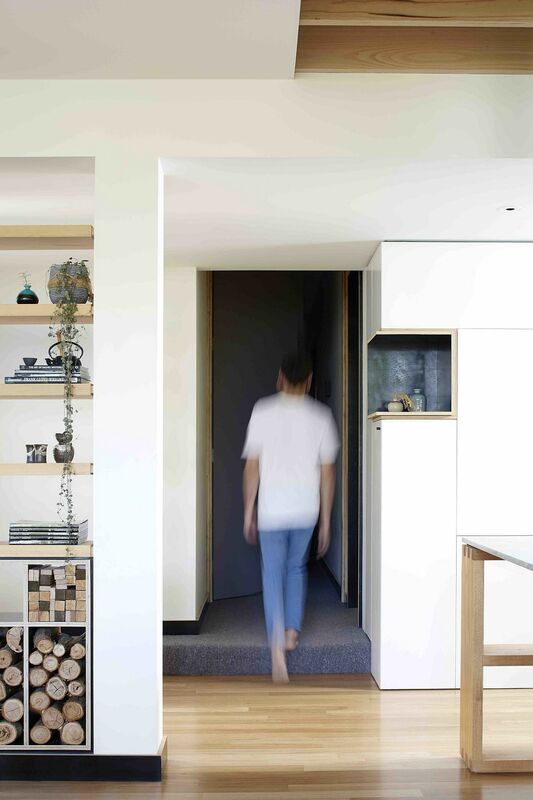 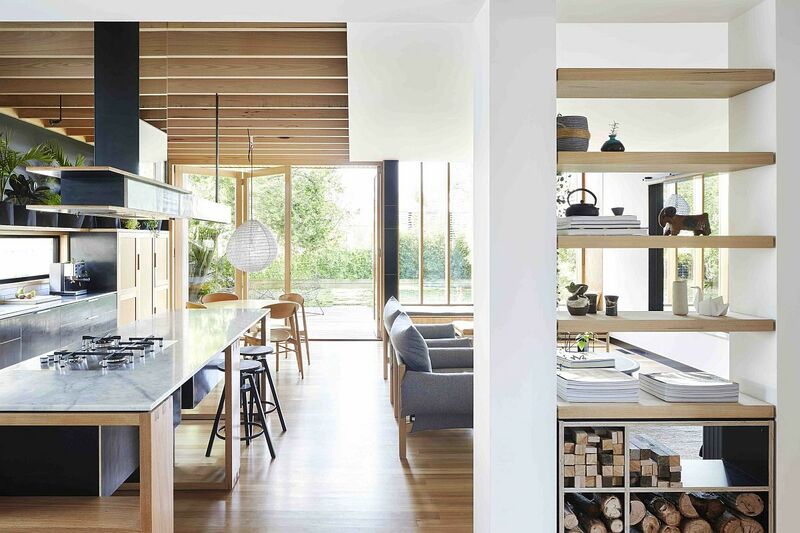 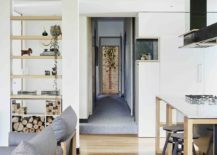 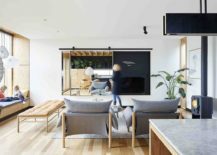 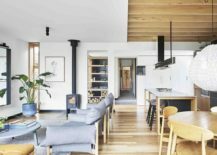 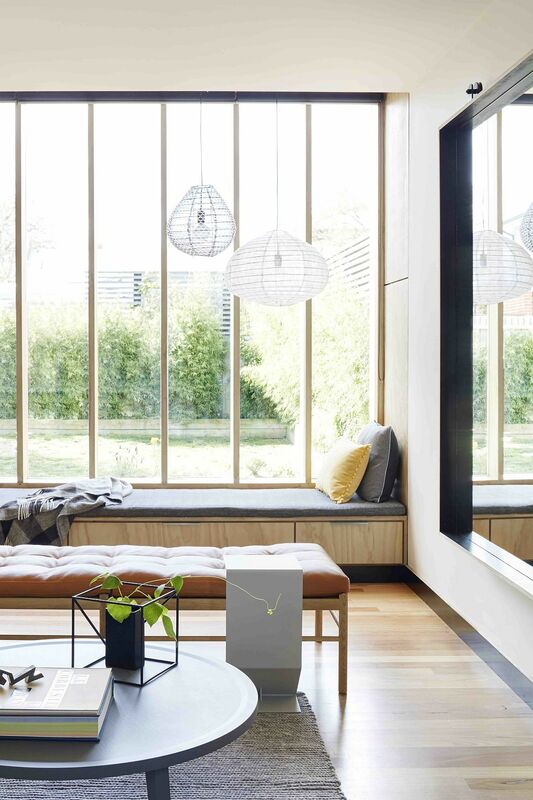 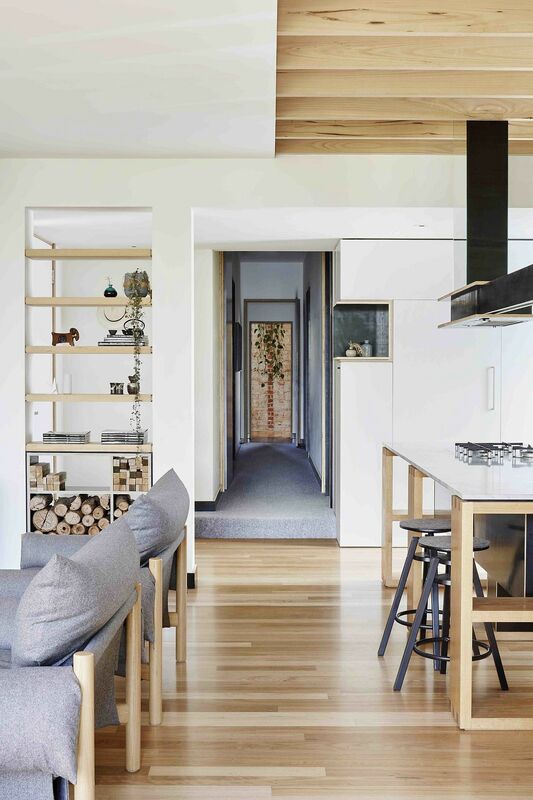 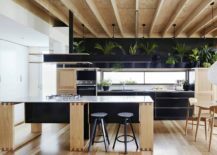 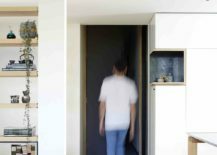 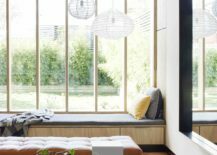 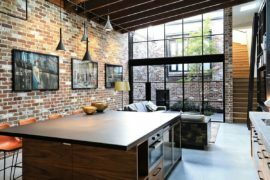 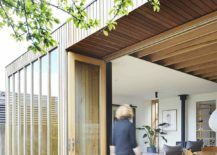 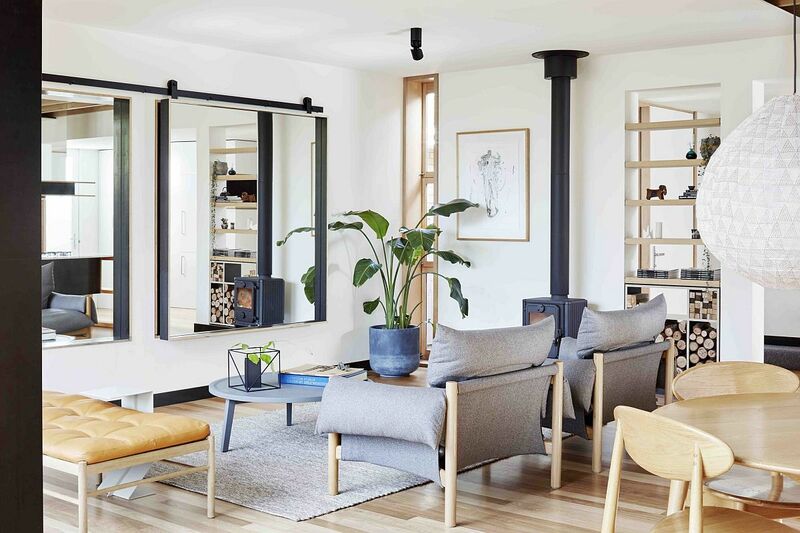 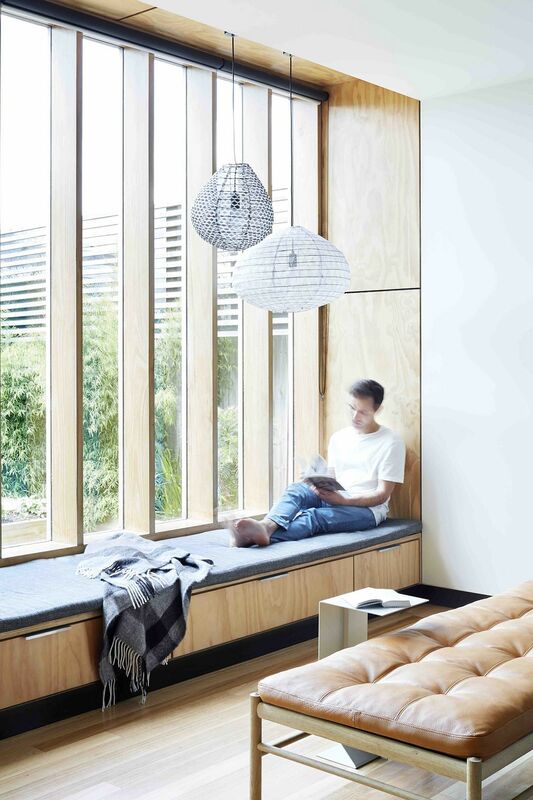 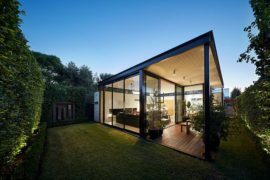 In an attempt to transform an old Victorian home in the town of Ballarat into a more spacious and modern setting that meets the demands of a family of five, Mick and Jules Moloney of Moloney Architects turned to the idea of a wooden box extension. 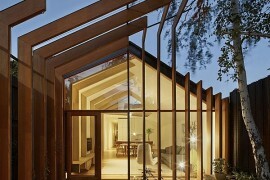 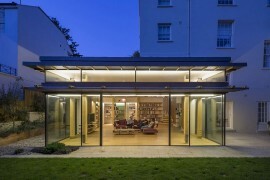 The dashing new addition in wood and glass sits at the rear of the heritage house leaving the street façade undisturbed. 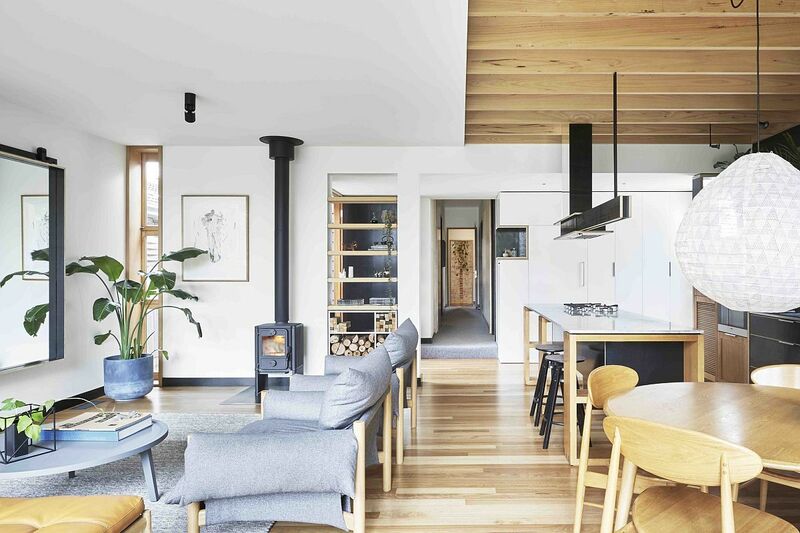 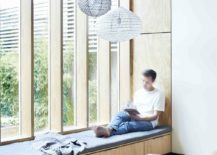 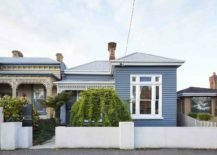 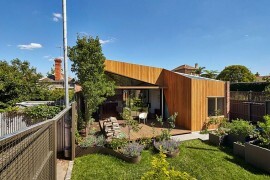 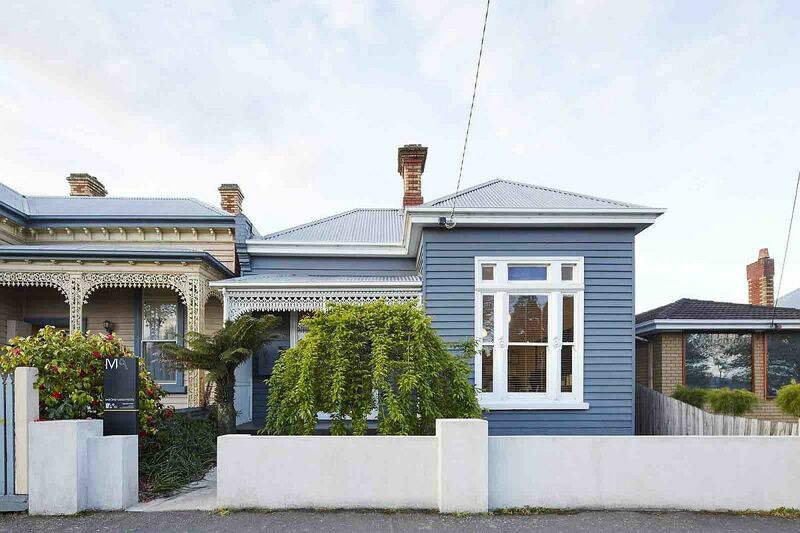 Yet, the old weatherboard home is seamlessly combined with the contemporary structure to create a cheerful synergy and a breezy living space that the entire family can enjoy. 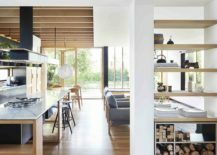 The Wooden Box House is all about combing contrasting styles, textures and finishes in an organic manner even while shaping an enjoyable social setting where kids and parents can interact without hindrance. 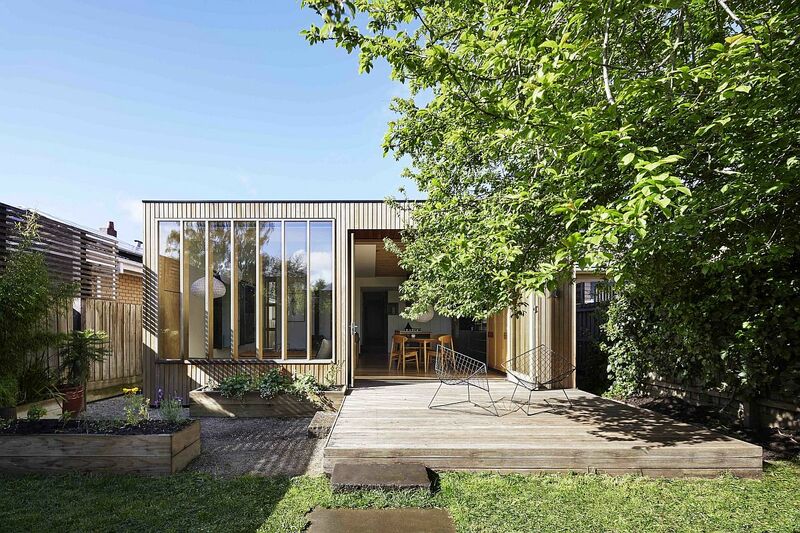 The new living space in the rear along with the kitchen and dining flows into the courtyard while the existing traditional home holds the bedrooms and an architectural studio. 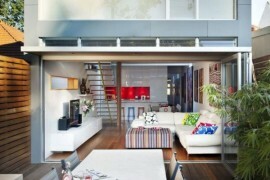 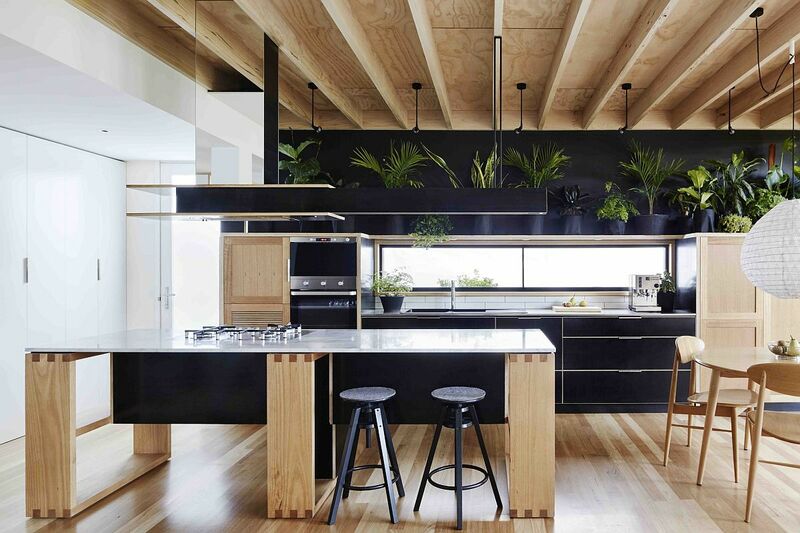 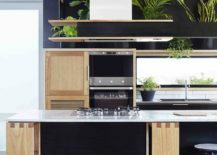 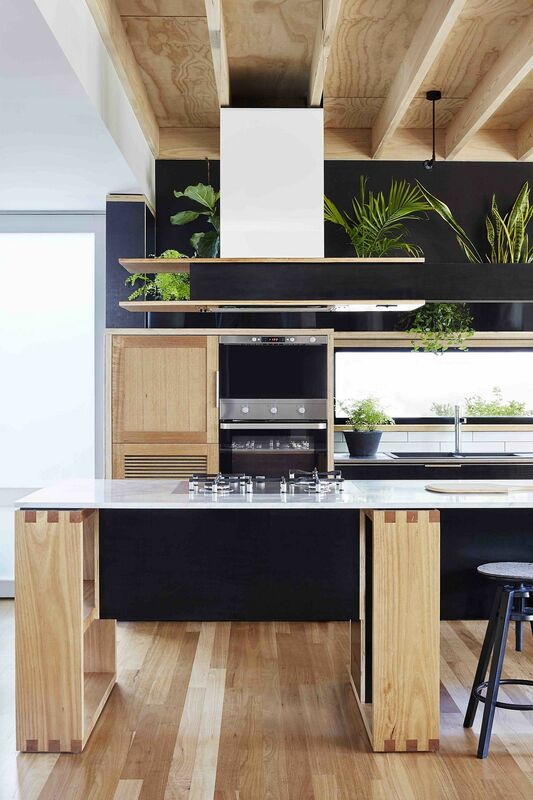 Raw finishes of plywood and Formply are mixed with ceiling beams in Tasmanian oak to create intrigue and contrast.